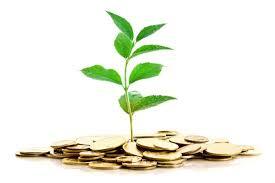 ISLAMABAD: A two-day microfinance conference on innovation and growth was held in Islamabad on Wednesday. Special Assistant to Prime Minister on Investment Dr Miftah Ismail inaugurated the conference with leaders of the sector in attendance. He iterated the importance of microfinance industry in poverty alleviation agenda. He mentioned that although the government is vying to curb poverty through safety net stipend schemes like Benazir Income Support Programme, it is through giving people means to earn their own income that we can make a real progress out of poverty possible. The conference was jointly hosted by Pakistan Microfinance Investment Company (PMIC) and Pakistan Microfinance Network (PMN). NRSP CEO Dr Rashid Bajwa gave an overview of the microfinance industry in Pakistan that today the sector stands at 5.2 million active borrowers, which is a tremendous progress considering the tumultuous journey that had ensued. He mentioned that establishment of PPAF and SBP’s guarantee scheme were the two major events which propelled the sector onto the growth trajectory and now with PMIC, the advancements technology, the sector is geared for the next phase of growth and achieve targets of reaching out to 10 million clients by 2020. PMIC Chairperson Zubyr Soomro said that although funding appetite of the sector is being addressed through institutions like PMIC, there is still a long way to go. He mentioned that one of the frontiers that the stakeholders now need to turn their attention towards is product diversification and value addition.